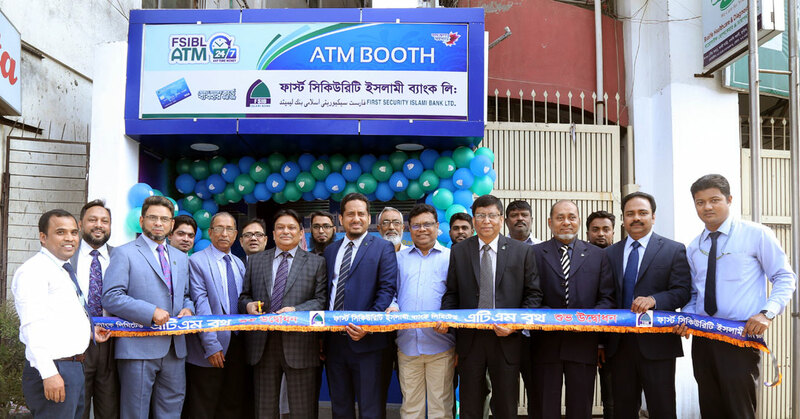 On February 05, 2019 First Security Islami Bank inaugurated an ATM booth at Kuril Biswaroad Dhaka. Mr. Abdul Aziz, Additional Managing Director of the bank inaugurated the booth. Among others, Mr. S. M. Nazrul Islam, Head of General Services Division, Mr. Tanvir Ahmad Chowdhury, Head of Card Division, Mr. Syed Mostafa Shahnur, Manager, Kuril Biswaroad Branch along with other officials were present on the occasion. Card holders of any bank can withdraw money from First Security Islami Bank ATM booth.